It’s probably fair to say its Galaxy Note 7 flagship has been an absolute disaster for Samsung. After a number of devices caught fire Samsung eventually made the decision to discontinue the model and, after an internal investigation, announced that the fires had been caused by design and manufacturing errors on the Note 7 batteries. 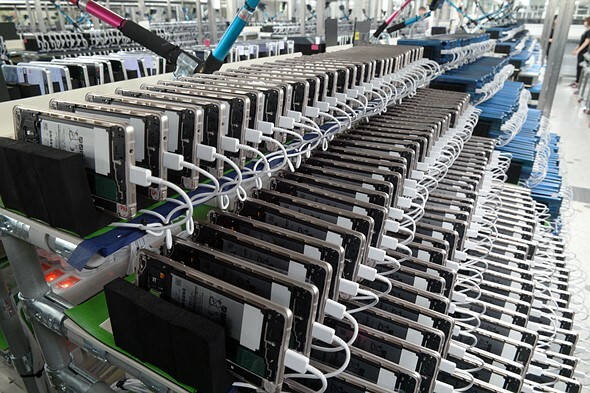 In a press release, the South Korean company has now laid out how it will recycle and dispose of the hundreds of thousands of Note 7 units that had already been produced and partly sold. According to the statement, ‘devices shall be considered to be used as refurbished phones or rental phones where applicable.’ This is dependent upon consultations with regulatory authorities and carriers and local demand, which probably means it’s unlikely any refurbished units would make it to Europe or the US. Meanwhile, Samsung’s new high-end phone, the Galaxy S8, is expected to be launched tomorrow at events in New York and London. Hopefully it’ll have more success than its ill-fated cousin.